Gatwick and Manchester airports feature in the summer programme announced by Air Malta, a full service carrier competing with the budget airlines that have proliferated to the island since it joined the EU in 2004. It is a member of the Eurozone. From 27 March Air Malta will increase its operation from the south London airport to 13 weekly flights, offering a double-daily service from Tuesday to Sunday. From Manchester the addition of a Wednesday departure on 1 June means that the schedule will go up to six flights a week. 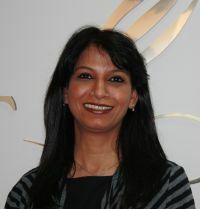 In spite of the doom and gloom predicted BAA Ltd has come up with some good figures for January 2011. Heathrow in particular showed its overall underlying strength, recording the highest first month of the year passenger figures since 2006. 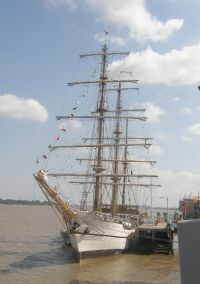 Growth was particularly noted on the Chinese and Indian routes. Domestic traffic gained most in January (up 8.3%), having been affected more than other markets by snow across the UK in the same month last year. European scheduled numbers were up by 2.7% and North Atlantic traffic 3.2% higher. Stansted again performed badly, down by 5.8% on last year, although there were mitigating circumstances. Delta Air Lines is to make a major investment in its international fleet with plans to introduce a premium economy section, which it calls ‘Economy Comfort’, on all long haul international flights for summer 2011. The new seats will feature up to four additional inches of legroom and 50% more recline than on Delta’s standard international Economy Class seats. It is a sort of halfway house between a true Premium Economy separate cabin and basic Economy. The product will be installed in the first few rows of the Economy cabin on more than 160 Boeing 747, 757, 767, 777 and Airbus A330 aircraft. It will be interesting to see how the vigilant UK Revenue deal with it APD wise! Once they have purchased their standard ticket customers will be able to choose Economy Comfort seats for an additional fee of US$80-160 one-way depending on the sector. Complimentary access to Economy Comfort seats will be available to all SkyMiles Diamond and Platinum Medallions whilst Gold and Silver medallions will gain discounts. 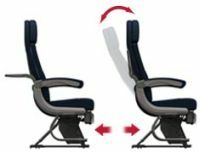 Economy Comfort seats will be available for purchase and booking from May 2011 for travel beginning in Summer 2011. The Caribbean and Ecuador are being focussed upon as KLM Royal Dutch Airlines is performing a robust expansion into the region and the northern part of South America. The airline is re-organising its flights for next winter to give a non-stop operation to Quito, the capital of Ecuador, three times per week, which then continues on to Guayaquil the country’s largest city and main port. The new schedule gives nine flights per week from Schiphol to Curaçao, the island a Dutch colony, daily to Bonaire, another leftover from Dutch colonial times and three times weekly to both Aruba and St Maarten, still de facto colonies. 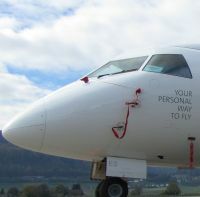 Swiss carrier Sky Work Airlines is to launch a daily flight (except Saturday) from Bern to London City Airport from the start of the summer timetable (Sunday March 27). Operated by a Dornier 328 turboprop, and taking 1hr 40mins, the timings of the flight have been set to allow for an overnight followed by a full working day at either end. Departure Berne is 1815 and departure at the London end 19:20. When launched it will be the only service between London and Bern. Sky Work’s history goes back to 1983 when it was founded as a flying school and has expanded over the years as firstly an executive aviation and charter company and latterly operating scheduled services. The London-based Aviation Club of the United Kingdom has confirmed that Secretary of State for Transport Philip Hammond will be the guest speaker at the Institute of Directors lunch on Thursday 9 June. This seems to dispense of rumours that he might move in the forecast Spring cabinet reshuffle. He has held the position since May 2010. Royal Jet, which calls itself “a luxury flight services company”, and is based in Abu Dhabi, has become probably the first Gulf state executive operator to open an office in the UK. 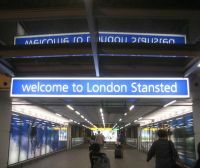 Stansted was chosen also for its proximity to the Scandinavian and North Europe market. The company’s aircraft line-up is impressive and includes six Boeing Business Jets, two mid-range Gulfstream 300s; a long-range Gulfstream IVSP; a Learjet 60 and an Embraer Lineage 1000. It also runs the fixed base operations (FBO) and VIP terminal at the Abu Dhabi’s international airport. Some years back when working for another publication your Editor experienced problems at the UK London Passport Office. His photograph was incorrect and he was told to re-book for another day! Quick witted he had the correct photo taken in the building, re-entered the front door and said he had been delayed on the Tube. He got his passport and reported on what happened. Jump forward to last week and the same procedure in a nicely refurbished building. This time he was turned down as he was not smiling the official way in the photograph. Another grin at the machine, except by this time he had missed the cut-off for same day collection. It is coming by courier. The result was fascinating. Not a single soul was able to answer the question with the solitary exception of a very experienced former Fleet Street hack. And he struggled. There is a more important question. Does it matter if the world outside BA’s Waterside headquarters is aware of who is in charge? One could argue that as long as the national carrier is profitable for its investors, is a good company to work for, and is worthy of promoting the Union flag, and hence the country, it matters not. There is another argument that says the CEO is the leader of the airline, promoting it to the public worldwide, creating a morale boosting relationship with its staff, and in this case promoting BA as a constituent part of IAG (International Airlines Group). Roy Watts, who handed the baton to his friend John King; Colin Marshall, an expert on man management; of Robert Ayling perhaps the less said; Rod Eddington a steadier of a rocky ship, and finally Willie Walsh, who did it his way. BA does seem to be moving ahead with new and potentially profitable destinations, the regular arrival of new Boeing 777-300ER aircraft and withdrawal of elderly 747s. Getting closer is the first Airbus A380, and even perhaps the 787. The synergies available through oneworld, and hopefully IAG for the future, will hopefully manifest themselves. Commercially it is seen as less enterprising in recent times and certainly it keeps itself to itself. 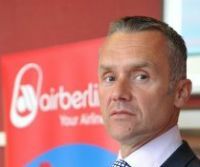 The answer of the question posed above for readers of AERBT is that Keith Williams became Chief Executive of British Airways in January 2011 following the merger with Iberia. He also sits on the board of the two airlines’ parent company IAG. No press release was issued (legally there was no requirement) and the handover was very low key. As Chief Financial Officer of British Airways over the previous five years, Mr Williams played a leading part in the airline’s achievement of a record operating margin in 2007, before steering it through the worst recession in its history and masterminding a solution to its long-standing pensions deficit. After joining the airline in 1998, he became BA Group Treasurer and Head of Tax. He was heavily involved in restructuring the airline’s finances after the aviation slump that followed the terrorist attacks of 9/11 and in the plans that brought the company back to profitability. His previous employers included Apple, Arthur Andersen and Boots and is a graduate of Liverpool University, where he obtained a first class honours degree in history and archaeology. 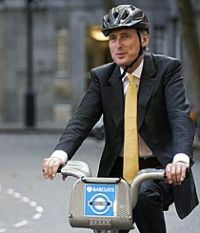 He is also a Non-executive Board Member for Transport for London and has been a Board Member of Iberia since 2009. 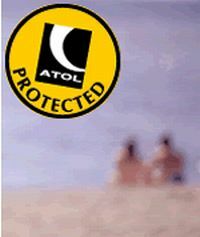 People booking a holiday abroad are set to benefit from a revised protection scheme after the Government confirmed it would press ahead with reforms to ATOL (Air Travel Organiser’s Licence). These will see the scheme undergo the biggest overhaul for more than a decade. Around 6m more holidays will receive protection. In a statement to Parliament, the Aviation Minister, Theresa Villiers, outlined the changes which the Government aims to implement by the end of the year in order to beat the main holiday booking period from January onwards. A charge of £2.50 per passenger is envisaged. Perhaps the most important gesture is to extend protection to include 'flight plus' holidays. This would cover trips including a flight where the various elements are purchased within a specified short period, possibly 24 hours – essentially looking like a package holiday but falling outside the existing legal definition. She says she is trying to stop holiday firms from misleading consumers about their level of protection and wants to make it obligatory to provide customers with clear and honest information. Manx 2 suffered a fatal accident on Thursday 10 February with the loss of six lives. The commuter flight from Belfast City to Cork had ten passengers and two crew on board when it crashed in heavy fog at 9.51am. It was reported that it was the aircraft's third attempt at landing in difficult conditions overturning when it hit the ground. Based on the Isle of Man, Manx 2 is a brand name rather than actual airline, its aircraft supplied and flown by a number of EU AOC holders in this case the Spanish company Flightline BCN whose crew were operating the aircraft. Chairman of Manx 2 is Noel Hayes, who launched the service in July 2006. Previously he held the same position with what is now Blue Island Airlines based in Jersey. KLM Royal Dutch Airlines passengers will be able to enjoy a new European Business Class from the start of the summer season on 27 March. This product replaces KLM Europe Select. The improved cabin provides business travellers to European destinations with more seat comfort and space, a better catering service, and priority on departure and arrival. The airline says that a seat in the revised cabin provides one-and-a-half-times more room than before, because the middle seat is always left empty and can no longer be reserved. Besides improving the level of comfort, this also offers passengers more privacy. Every Business Class seat in the 737 fleet is being fitted with a socket to charge electrical appliances. KLM continues to offer Europe Business Class passengers greater efficiency by providing priority departure and arrival services, typically premium check-in, extra baggage allowance, access to airport lounges, and priority during boarding and baggage processing. On 1 March Kuwait will see the opening of only the second branded Missoni hotel by the Rezidor Hotel Group. The first opened in Edinburgh in July 2009. Missoni is named after a stylish Italian knitwear producer. 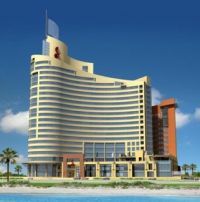 The 5-star Hotel Missoni Kuwait offers 169 sea-facing rooms with breakfast, laundry, high-speed wireless internet, free local calls, movies on demand, and the entire contents of the mini-bar, inclusive in the cost of the room. The hotel also features three restaurants, meeting facilities, a gym, a steam room, a sauna and a pool deck overlooking the city. About to launch in London is minicab4one an entirely new concept in eco-friendly chauffeured car transport. Essentially the scheme is a cab operation for a single passenger using Smart cars. The majority of London taxi journeys carry only one passenger so the Smart addresses this with their choice of vehicle. Minicab4one is a pre-booked service either via the internet or by 'phone. No flagging down a Smart car. Following a seven-month trial in the Stansted Airport area the model is expected to be introduced in London in the Spring. Informal discussions with the London Public Carriage Office deemed the vehicle fine but required a name change to avoid confusion with a licensed hackney carriage (taxi). Viking Hellas, the independent privately owned Greek airline, has rescheduled its twice weekly service between Manchester and Athens in order to directly connect with its flights to Erbil and Sulaimayniah in Iraq. The flights will operate from 1 April until 30 September using an Airbus A320 aircraft. The airline serves both these cities via Athens also from Amsterdam, Frankfurt and Stockholm. Just a week after Mayor Boris Johnson published his report on the need for additional airport capacity to serve London, the 60th floor of Chase Manhattan Plaza, offering panoramic views over a snow clad New York, was the venue for a conference bringing together hundreds of top business, civic, philanthropic, media and government leaders to listen to the Regional Plan Association (RPA) reveal the results of its two-year study into the future of the New York Regions airports. Headlined “Upgrading to World Class”, and drawing on inputs from a wide range of experts, stakeholders and members of the ‘Better Airports Alliance’, the RPA study comprehensively examines New York’s long-term airport requirements in a way the coalition government in the UK seems determined to shy away from at all costs. Starting with the key priority of addressing the numerous bottlenecks that cause the delays for which JFK, Newark and La Guardia are notorious, RPA’s study also looks forward some 20-30 years to the infrastructure that will be needed as underlying demand is projected to increase some 50% from its current 100mppa (million passengers per annum). The report examines numerous options to meet these objectives and many have the potential to make a small incremental contribution including: shifting air passengers to higher speed rail within the densely populated North East coastal corridor. Using secondary or outlying airports. Encourage flying at off peak times when there are less capacity constraints. Use of larger planes on thick high frequency routes to free up slots. But none of these alone, or in combination, are panacea. Rather RPA concludes that two remedies stand out, and they were discussed at length at the conference attended by some 300 delegates. 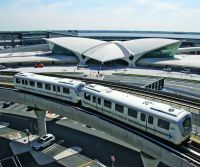 The first is to implement technological investments and operational and procedural changes that would transform the US and New York air traffic systems. By modernizing air traffic control, planes can be safely spaced more closely together when landing and taking off, thus substantially increasing airport capacity from existing runway infrastructure. Work is underway by the FAA with its deployment is expected in phases, first by 2018 and then in 2025. But federal funding is not assured, and the airlines must re-equip their aircraft to make it work. 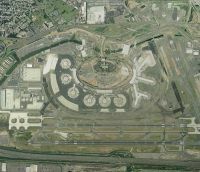 But whilst this might be able to address capacity needs for the next five to ten years, RPA’s work concluded that reconfiguring Kennedy and Newark airports and adding new runways still provide the greatest potential for increasing capacity and reducing delays. 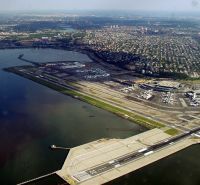 Expansion of La Guardia (the former flying boat base and New York’s inner city airport) is not possible without huge impacts on surrounding communities. Apart from the thoroughness of the work, which certainly provides a model for London to follow, and the similarity of many of the problems facing New York’s airports system to that serving London, the most notable aspect of the conference was the wide-ranging support for tackling the problem. The Port Authority of New York and New Jersey will certainly face opposition to some of the proposals as a result of their impact on local communities, surface access systems and wildlife reserves, but the importance of having a ‘World Class’ airport system to serve London’s principal rival for the crown of the world’s top ranked city was recognized by the vast majority of the conference delegates. Gatwick Airport welcomed Air Berlin last week as the airline moved its twice daily Hannover and Nuremburg operations from Stansted. It is the first airline to escape the clutches of BAA Ltd to Global Infrastructure Partners, the majority shareholder (and of London City too) who took over Gatwick at the very end of 2009. Air Berlin is Europe’s sixth largest air carrier and represents the new breed of airlines challenging the budget airline market by offering full service flights at low cost prices. Passengers can pre-book their seats, a practice much preferred by business people and regular travellers. 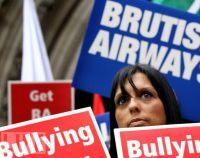 Unite, the union representing British Airways cabin crew, said last Tuesday that it planned to ballot members again on taking strike action after admitting a recent vote was potentially invalid. Cabin crew voted last month to hold further strikes in what is fast becoming the longest dispute of its kind in airline history. British Airways argues that the ballot, the third in recent times held by staff backing industrial action, was unlawful. The union said that this led the Electoral Reform Society, the watchdog responsible for overseeing the vote, to qualify its official report. The annual Business Travel & Meetings Show, held once again at London’s Earls Court, was certainly a more bubbly affair than the previous year, and whilst numbers are yet to be published indications are they are up on 2010 with some people reporting lively business. The major airlines did not participate with the exception of easyJet and Virgin Atlantic although Star Alliance took a substantial private reception area that was always busy. An innovation for 2011 was the Airline Pavilion, which enabled carriers to take their own desk space at a much reduced cost and use a central lounge area. With Air Astana, Air Berlin, Air New Zealand, Arik Air, Ethiopian Airlines, Gulf Air, Japan Airlines, Kenya Airways, MEA and Norwegian all attracting visitors it became a popular meeting point. In an outspoken speech to the Aviation Club in London last week Giovanni Bisignani, IATA’s retiring (he hands over at the planned Cairo AGM in June) Director General and CEO called on the British Government to improve its competitiveness in air transport by taking a global approach to aviation and climate change, reducing taxes, changing the economic regulatory structure for airports, and developing a proper strategy to safeguard the economic benefits of aviation. The airports came in for criticism too. Firstly on their charges. “Recent decisions have got it all wrong. 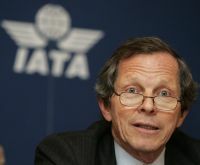 While the global airline industry was cutting costs and improving efficiencies to survive, the regulator allowed BAA a 50% increase for Heathrow charges,” he said. 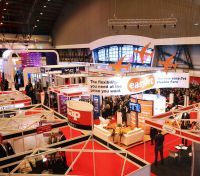 easyJet seems to be really serious with its efforts to get into the business travel market with a large stand at last week’s Earls Court extravaganza and the launch of a daily service from Liverpool to Brussels. This is not regarded as a leisure route. It is the airline’s first operation to the capital of the European Union. The airline’s UK General Manager, Paul Simmons was joined by Brian Simpson, MEP for the North West of England and Chairman of the European Parliament’s Transport Committee to launch the new six times weekly (Sun-Fri) service. 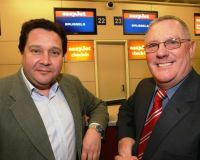 Paul is keen to emphasize the new easyJet policy: “The launch of our first UK route to Brussels reflects our commitment to providing business travellers with the broadest choice of destinations at the lowest possible fares,” he said. Wi-fi has come to Europe but not with one of the legacy carriers fitting a system (although Lufthansa has been dabbling since 2004 with transatlantic flights). Norwegian, sometimes called Norwegian Air Shuttle and based just outside Oslo, is leading the way. “Norwegian is proud to be the first airline to offer wireless internet access on board flights in Europe. It is satisfying to be able to give our passengers the opportunity to work, read online newspapers, play games or watch online TV while flying with us. 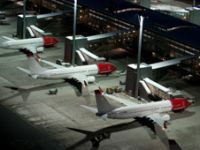 This is a product that no other airline in Europe is currently offering, which gives us a huge competitive advantage,” said Director of IT and Business Development, Hans-Petter Aanby, at Norwegian. station still waits, in other areas work is progressing quickly as the new owner, Stobart Group, continues with its investment. Ground works have now been completed on the new passenger building with much of the steelwork erected. 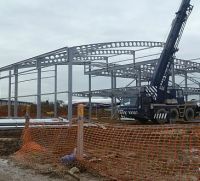 The new terminal – which is one of several construction projects required to make Southend a fully-functioning regional airport by 2012 – is on target to be operational by October 2011. It is just a two-minute walk via a covered walkway from the new airport railway station. No date has yet been given for the first train to officially stop but it is thought it will coincide with the introduction of Aer Arran flights on 27 March. My first experience of the Mitsubishi Outlander 4x4 Crossover model was literally a baptism of fire – at an Army tank training range where I had to mix it with the seriously heavy metal. Fortunately the arrangements for the press launch were very thorough and I did not have to experience any friendly fire! I did appreciate the ability of this all wheel drive seven-person vehicle to keep active on even challenging terrain, clearly proving that Mitsubishi expertise in developing its highly rated Shogun off-road 4x4 range had been filtered though to the Outlander, a vehicle intended for more general motoring where practicality is prioritised. What emerges with the Outlander is a hugely competent vehicle with plenty of driving character to keep the discerning driver happy and to make the lot of the busy day-to-day user an easy, take it for granted way of motoring. The mechanical package involves a selectable drive system allowing two-wheel drive to be employed for most of the time, four-wheel drive coming in at the flick of a switch and on the test model, a slick acting 6-speed twin clutch automatic transmission (a 6-speed manual version is also available) that is backed up by Active Stability, Traction Control and Anti Lock Braking combined with Electronic Brake Distribution – a package designed to ensure optimum driver control even when a crisis might be looming. What is also evident is that this spacious but hardly cumbersome large hatch back bodied machine has a commendable turn of performance – Mitsubishi claim a top speed of 123mph with 62mph (100kph) reached from rest in a more than passable 11.1 seconds. Not so evident is a diesel engine under the bonnet – a high efficiency/super refinement 2.2-litre turbo diesel common rail unit developing 115bhp (130bhp with the manual gearbox), the main reason being that it is so quiet and so smooth and also that the fuel consumption, depending on load/use, can nudge around 40mpg. I would say that user friendly is an understatement. The Outlander’s driving characteristics, its fully independent suspension system ensures very positive road holding with such sure footed grip, while braking performance is both highly efficient but also smooth in actuation with minimal pedal pressure. The steering is light, geared about right and with a relative tight turning circle ensures easy about town driving as well as stable and positive handling on the faster roads. Driver visibility front the loftier than average position, is good apart from a slight blind spot caused by the rear pillars. Large exterior mirrors and parking sensors compensate to an acceptable degree. Gone are the days of the workhorse, the Outlander is an executive class car, equipped to a very high level, especially on this special Juro version, with impressive interior styling that includes a ‘good on the eye’ fascia presentation a that is clearly designed for versatility and practicality. Driver comfort, thanks to a generous sized and well contoured seat that can adjust to suit all types of physique, a fully adjustable steering column and good pedal positioning that should ensure a serious day‘s drive with minimal fatigue. The 5-seat Outlander is the standard model, the seven seat version is really an adaptation that utilises what is a very generous load area to provide a pair of flat folding seats that are small size and have restricted leg space…ideal for small children that have outgrown a child seat but challenging for adults. As a five-seater the comfort and space is hard to fault and in that mode it is also a good load carrier, the luggage access reached via a split section tail-gate whereby the rear window hinges independently of the drop down lower section making it an ideal picnic situation. Sturdy roof rails with a ribbed roof panels also feature. Other notable points on this exceptionally well built product include a paddle shift gear change, automatic lighting, a full size spare wheel located externally under the rear floor, plenty of pockets and stowage areas, all leather trim on this special model and a rear auxiliary power point. 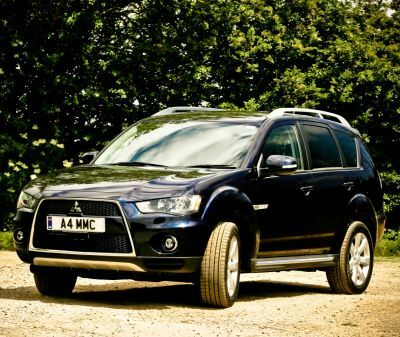 I have encountered a number of compromise contenders in the Crossover category, often termed as soft off-roaders, the aptly named Mitsubishi Outlander is no softie as it has more than proficient off-road credentials allied to a high degree of all-round refinement, plus close to premium grade finish that makes it more than a bit special. Rivals include: Peugeot 3008, Kia Sportage, Subaru Forester, Honda CRV, Toyota RAV. Price From: £27,995 on the road. PEUGEOT: Two additional versions of the Peugeot 3008 Crossover model have been released – SR and ENVY, both based on the Sport model. The SR adds colour satellite navigation and Blue Tooth. Grip control, 16 inch allow wheels with mud and snow tyres, the EBVY dark tinted rear windows, external styling pack with brushed alloy trim, head-up display and a panoramic glass roof.